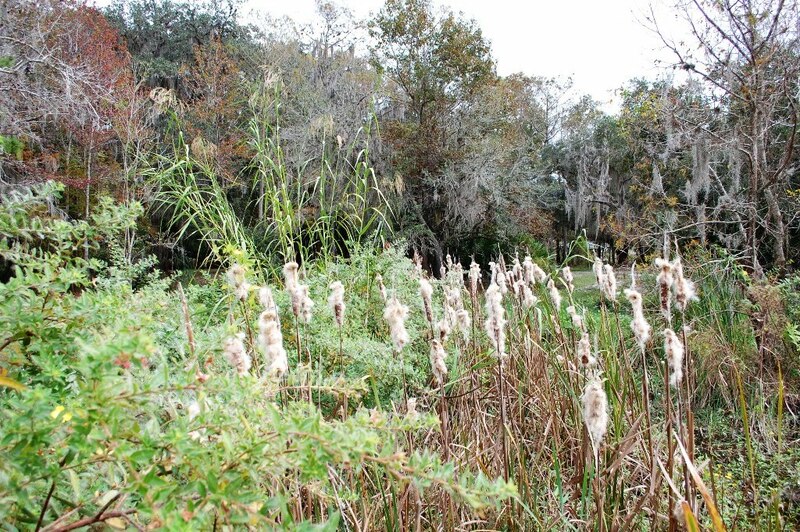 Swampy area on the trail at Lake Ashby, near New Smyrna Beach, Florida offers agood mix of plant life and food for birds. Florida ecology is different from my native WA environment. The level plain, sandy soil, palmetto, pine and oak forest, swampy lands requires a more intimate look to find differences and the unusual. 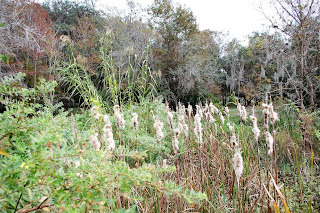 Many seeding plants are wonderful to see in the Fall and Winter.